Firstly, welcome to all my new followers! I wondered what on earth was going on when my email started to fill up with new WordPress notifications a couple of days ago… When the notifications started to run into hundreds I finally figured out that my blog had been featured in the ‘Discover’ section of the WordPress Reader! So many people have left encouraging comments (thank you!) and I’ve been spurred into action after a few weeks of creative pause. I’ve got several buildings I want to sketch before we leave New Zealand in August, but first there is the small matter of Every Day in May 2017 (EDM 2017). EDM is an annual, international sketching challenge. 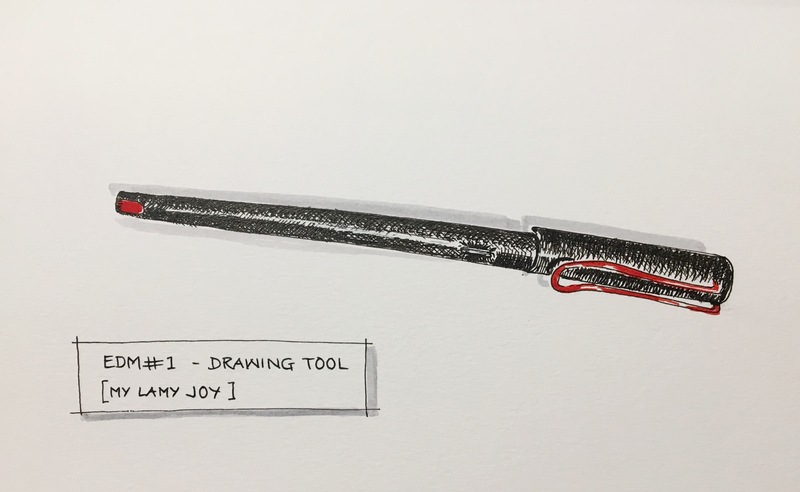 People from around the world draw from a preset list of daily prompts and we share our sketches on Flickr and Facebook. I took part for the first time last year and I’m having a go again! I’ll probably post weekly collections of sketches, but here’s a quick first one to get started. If anyone wants to join in, search for ‘EDM Every Day in May’ (written exactly like that) on Facebook and join the group. I’ve shown the prompts below as well. Dear Tabs, congratulations on your WordPress celebrity. It looks like you will be busy in May. I hope you don’t end up like the cockroach at the bottom of your list. Looking forward to your daily drawings. Or Liz Steel does some great courses (Sketching Now). Or look at Craftsy.com, there are some great sketching classes there too! This is such a great idea – I am looking forward to taking part and seeing your sketches too!! Thanks for sharing. That’s an interesting something to do… well I’m looking forward to your posts!!! Thanks for the idea, I was really searching for something to do in this may..
I’m glad people have noticed you, because your work is just great. Looking forward to a May of drawings. Fabulous, fabulous, fabulous! Talent of eye and hand, my daughter! Your artwork is amazing. You’ve gained a new follower. I almost forgot about this oh my! Yeah catching up right now. First of congrats! That is actually how I found you. 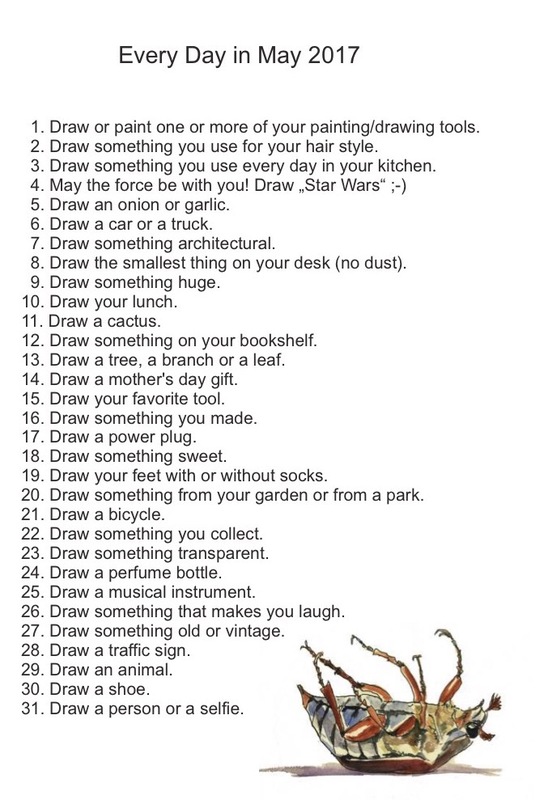 The drawing prompts for May sounds like a great idea! Pingback: Every Day in May 2017! — Tabitha’s sketchbook — С любовью к людям! Pingback: Every Day in May 2017! — Tabitha’s sketchbook — До каждого с миром!